Marnus Labuschange would also get a start. FOR the first time in 40 years, Australia could debut four players in the same Test. Aaron Finch and Travis Head have both been guaranteed Test debuts on Sunday, while fast-bowler Michael Neser and batsman Marnus Labuschange are in the running for selection. If all four men are named to play in the first match against Pakistan it will be the first time Australia has handed out four baggy greens since December 1977 against India at Adelaide. That Test was in the immediate aftermath of the rise of World Series Cricket. Graeme Wood, Rick Darling, Bruce Yardley and Ian Callen all debuted. 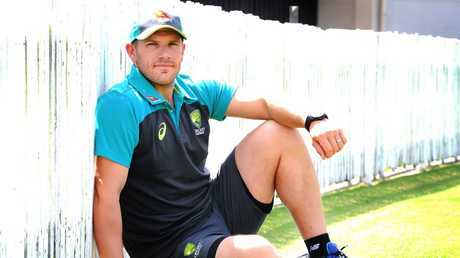 Aaron Finch will make his Test debut against Pakistan on Sunday. 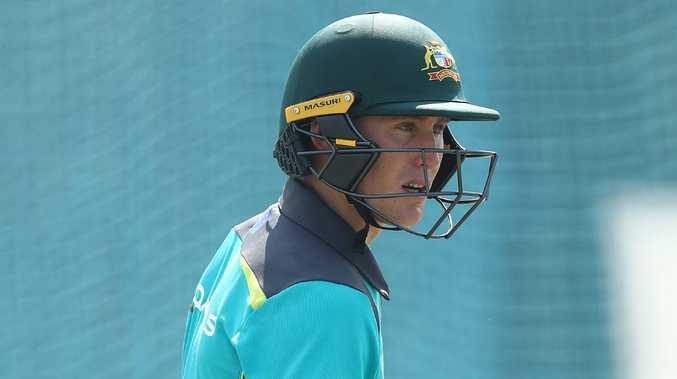 Labuschagne looked long odds to make his debut after being left out of Australia's XI for the tour match against Pakistan A last week. 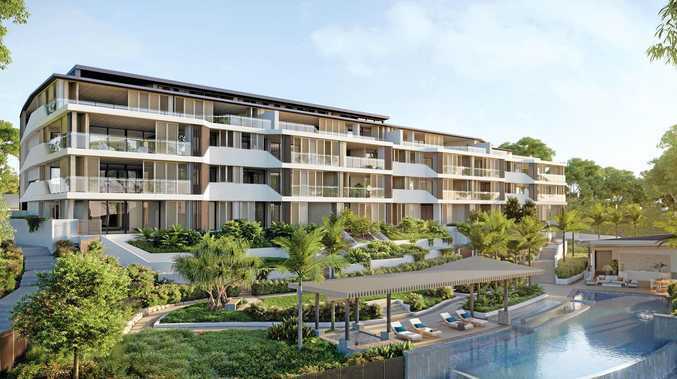 However, a worrying blow to the helmet for Matt Renshaw while fielding at bat-pad opened the door for the Queenslander. Renshaw was substituted out of the match for Labuschagne, who proceeded to score an unbeaten 39. While Renshaw is fit and healthy to play, coach Justin Langer is unconvinced by the amount of cricket he has played of late. The opener missed Australia A's first four-day match against India A last month due to a hamstring injury and had his county stint cut short by a broken finger in the winter. "Matt Renshaw's injury has put a bit of a spanner in the works," Langer said. "(He) is physically fine. The problem is he hasn't played much cricket. Remarkably, if Renshaw is left out, Nathan Lyon will be the only player from the XI that most recently played in Asia. A debut for Labuschagne would move Usman Khawaja up a position to first drop, with Marsh brothers Shaun and Mitch likely to bat at No.3 and No.4 respectively. Selected to play in the wam-up match, Neser appeared to have his nose in front of veteran quick Siddle to partner Mitchell Starc with the new ball. However,The Daily Telegraph's Ben Horne is reporting that Siddle has edged ahead in the race for selection. If Siddle has won his first Test cap in nearly two years, it will take Australia's group of debutants down to three. Australia last debuted three players - Renshaw, Peter Handscomb and Nic Maddinson - in the same Test in 2016, against South Africa at Adelaide. Pakistan are considering two debutants of their own, with off-spinner Bilal Asif expected to play after leg spinner Shadab Khan was ruled out with a hamstring injury. Uncapped left-arm quick Mir Hamza is hoping to partner Mohammad Abbas with the new ball.